Enjoy country hospitality in our mountain homestead in Nueva Suiza, centrally located between the towns of Cerro Punta and Volcan in the Province of Chiriqui, Republic of Panama. First built in 1948 and expanded in 2000 to its current size, our bed & breakfast inn has been noted for its hospitality and outstanding service hosting guests from around the world. 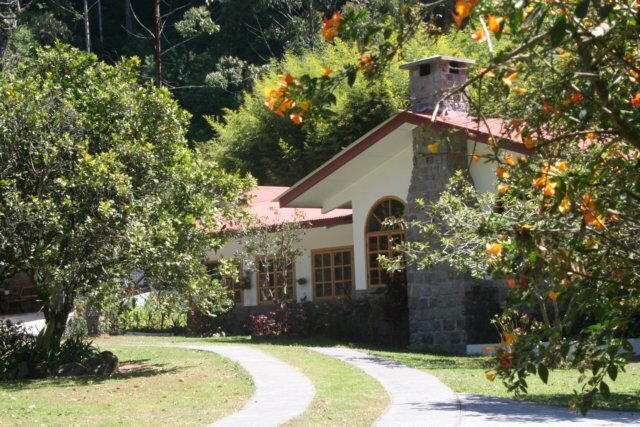 The family-run country estate is a natural bird sanctuary nestled in the rustic landscape of the Chiriqui highlands. Our inn features include a large parlor with a fieldstone fireplace, spacious dining room, a porch overlooking a stream with Rainbow Trout, ample comfortable bedrooms each with a private bathroom, a tranquil setting lush with tropical fruit and coffee trees interlaced with the exotic flowers of bird of paradise, lilies, anthuriums, alstroemerias, and impatiens. Whether you're looking for peace and quiet, convivial surroundings, great bird-watching, or a haven that feels like family, we welcome you to our inn and home in Chiriqui. Come and see why our guests return time and again. Sleep between all-natural 100% white cotton sheets, hearty full country-style breakfast every morning with fresh eggs and freshly roasted Cafe Cielito Sur™ from our homestead, read in front of a fireplace in our parlor, unwind in the jacuzzi or hot bath, fresh flowers in each room, bask on sunny afternoons in our stream-side porch, watch twelve species of hummingbirds cavort, stroll over six acres of beautifully landscaped grounds, sit by a cozy fire on the porch while listening to the melodious flow of stream, free high speed wireless internet....and much, much more! Click here to see some comments from the Cielito Sur guestbook and press reviews. Our bed and breakfast inn is located between the towns of Volcan and Cerro Punta in Chiriqui, Panama. Best bird watching lodging west of Volcan Baru. Great birding accommodations and hotels in Volcan and Cerro Punta, Chiriqui, Panama. Other hamlets along the way include Paso Ancho with a great view of the Baru Volcano and Bambito, famous for its Rainbow Trout. The Chiriqui highlands is a great area for birding and spotting quetzales. The Resplendent Quetzal is easy to see between the months of January and April. A favorite hike is Sendero Los Quetzales Trail which joins the towns of Boquete and Cerro Punta. 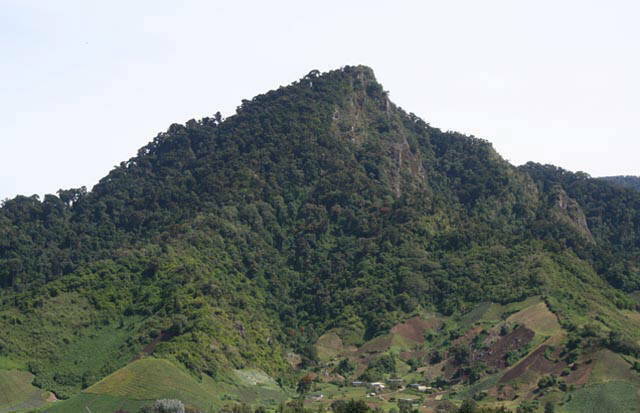 The highest point in Panama is Volcan Baru in the Chiriqui province. The Rio Chiriqui Viejo winds through the cloud forest where there's good bird watching. 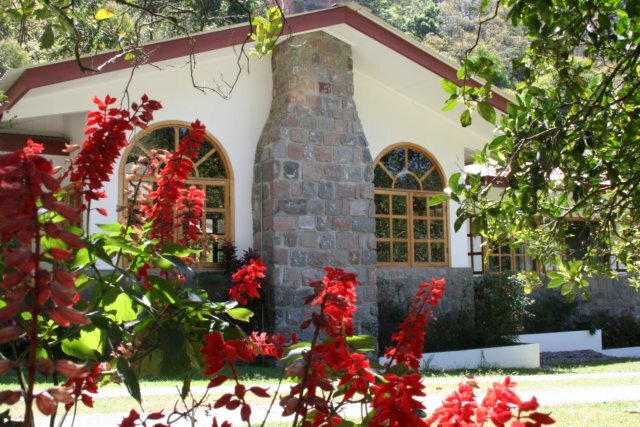 Our bed & breakfast is next to the Hotel Bambito in the Chiriqui highlands providing quality lodging. Excellent white water rafting in the Rio Chiriqui Viejo River. Some of the best coffee come from Boquete and Bambito surrounded by a cloudforest. There are many choices of hotels in Chiriqui. Longer stays at guest house in Paso Ancho or Nueva Suiza, Chiriqui, Panama. Other hotels are available in Boquete, Chiriqui and in the town of Volcan, Chiriqui. The Volcan Baru is the major geological feature of Chiriqui. Main feature of the Chiriqui Panama landscape is the Baru Volcano. Recommended Real Estate in Volcan and CerroPunta are Baru Realty, Golden Mountain Real Estate and Chiriqui Realty. Tierras Altas de Chiriqui, miembro de la Camara de Turismo de las Tierras Altas, miembro de la Camara de Comercio, Industria, Agricultura, Servicios y Turismo de las Tierras Altas de Chiriqui. 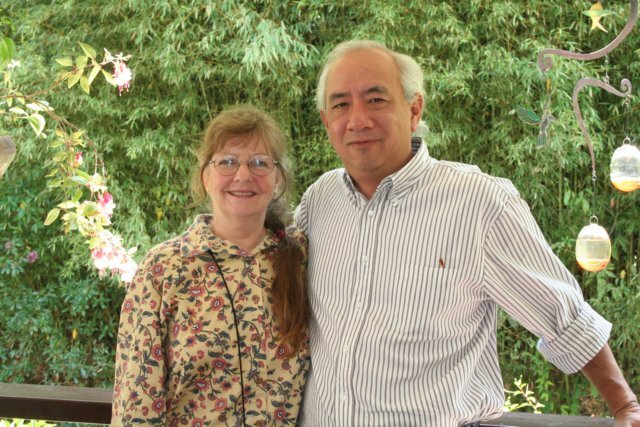 miembro de la Asociación de Pequeños Hoteles de Panamá, panamasmallhotels.com, Bird-watching and coffee tours Volcan Chiriqui and Boquete Chiriqui Panama.